This one’s for ma famiglia. All our collective years in the kitchen at home and on Bridge Street, and I don’t recall any of us ever making Bolognese. Given our love of all that is delicious–and Italian, for that matter–it’s just not right. Since I couldn’t learn to make this dish from anyone in the fam, I found someone named Marie of Food Nouveau, Anne Burrell and the fine folks at Fine Cooking to guide me. With their help, I made the richest, meatiest sauce EVAH! I just know you’d love it. If only you were here so we could have Sunday dinner in the kitchen as we did when we were kiddos. I think it would taste much better with a bottle of wine than it did with a glass of milk back in the day on 216. CENT’ANNI! 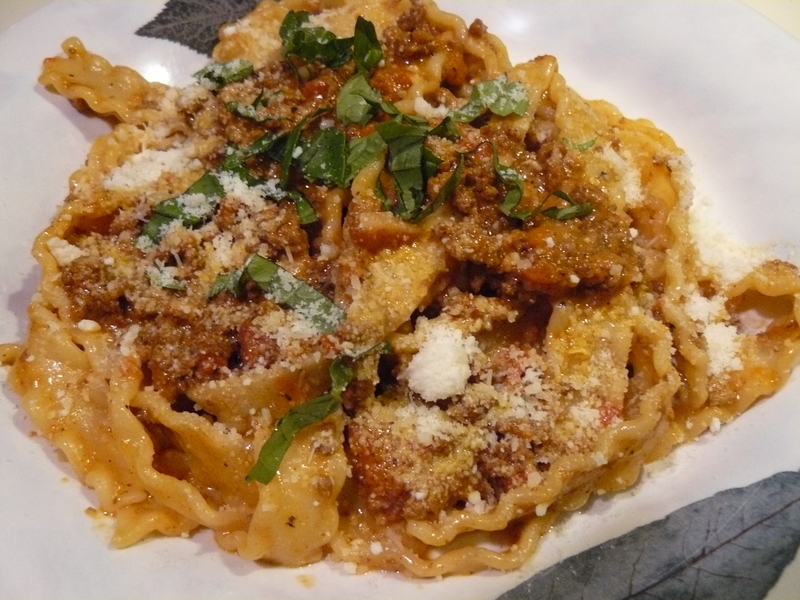 1 pound hearty pasta–I picked up something fancy from Public Market, of course! Let’s check out the ingredients first. 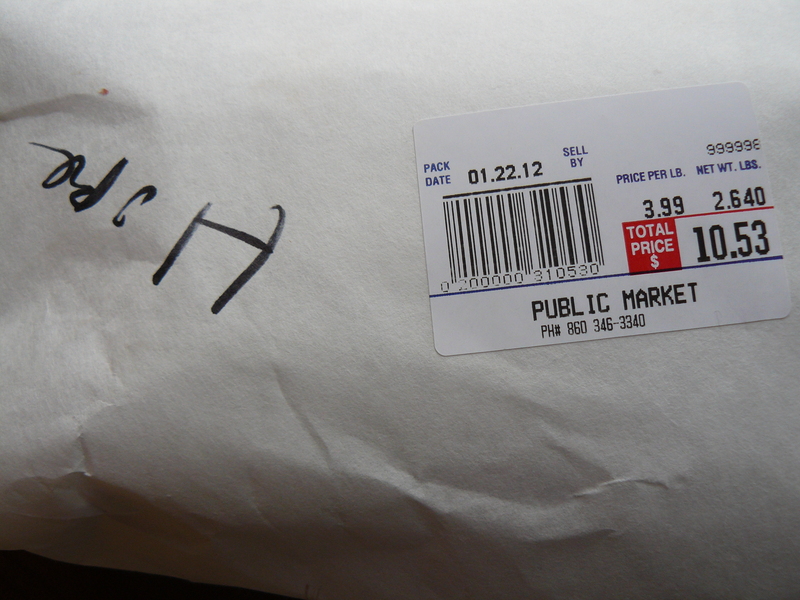 I don’t think I ever bought this much meatloaf mix in my life–and yes, for those of you who don’t make meatloaf or meatballs this way, it’s a mixture of ground beef, pork and veal that Middletown’s Public Market will gladly grind for you on request. That’s a generous 2.5 pounds, amici! MEATY! Now about that fancy pasta. You’ll often see Bolognese served over tagliatelle or pappardelle, but I was drawn to these lovely shapes at Public. I researched a bit and was tickled to see mafaldine is also known as reginette (Italian for little queens). 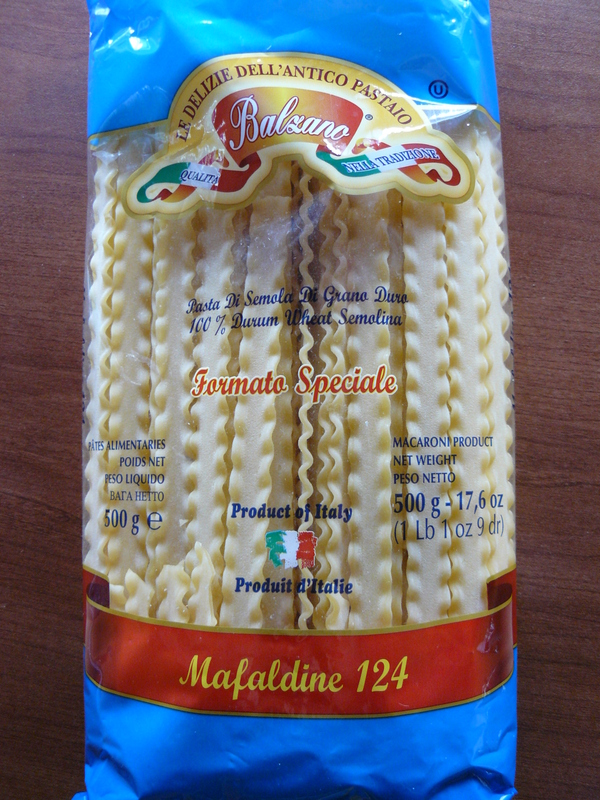 Won’t Queenie be honored to know there’s a pasta shape named for her? All right, let’s get cookin’! Marie’s recipe calls for a fine dice to make a basic soffritto, but I used Anne’s technique. Chop the carrot, celery and onion, run the garlic through a press, add ½ teaspoon salt and don’t worry about your knife skills ’cause a food processor will do the work for you. I had to process in batches using the mini food processor, but no problem. 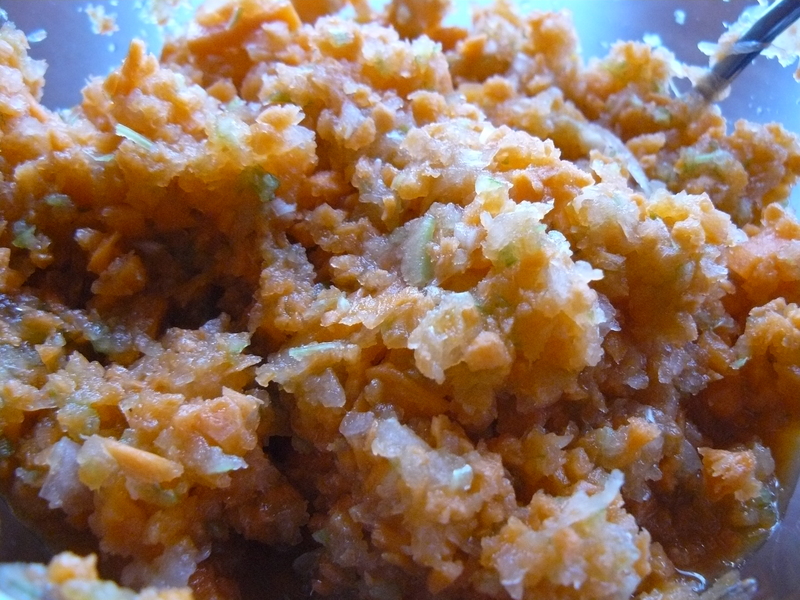 Puree to form a coarse paste like this. Transfer to a separate bowl because you’ll need the food processor one more time to give the San Marzanos a quick buzz. 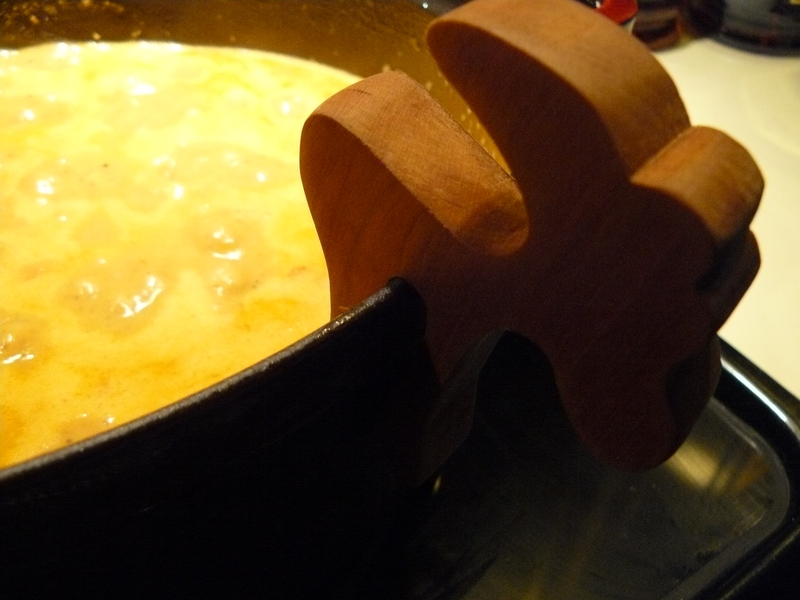 Coat the bottom of a Dutch oven (or large pot) with olive oil, bring to medium-high heat and add the vegetable puree. 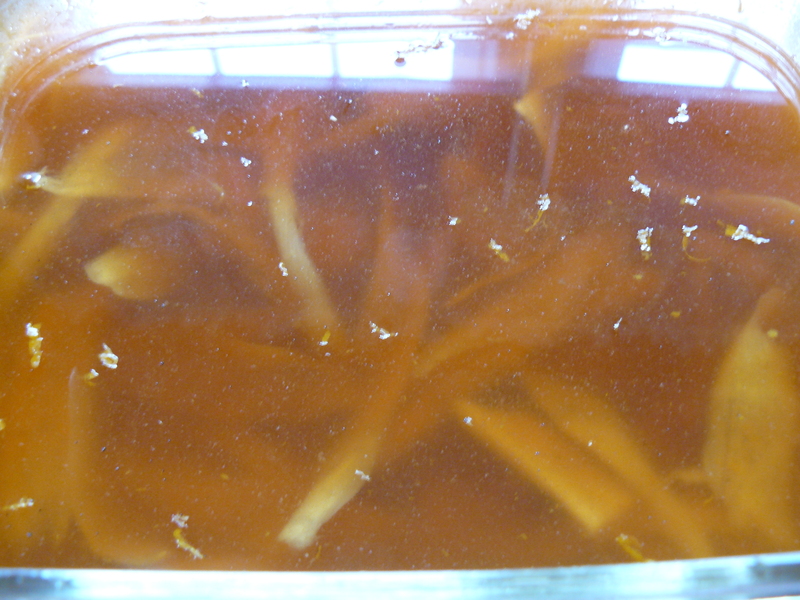 Cook until all the water has evaporated and the mixture becomes nice and brown. 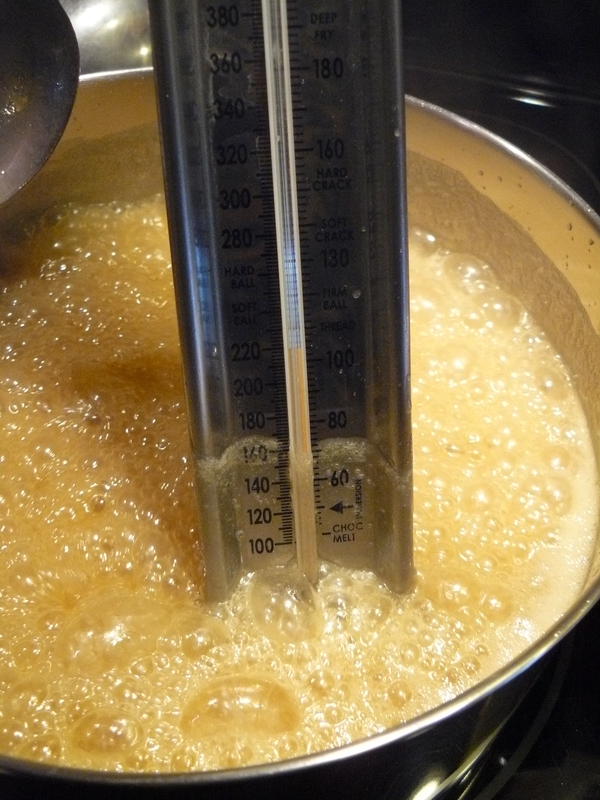 Stir frequently–this step takes about 5-10 minutes. 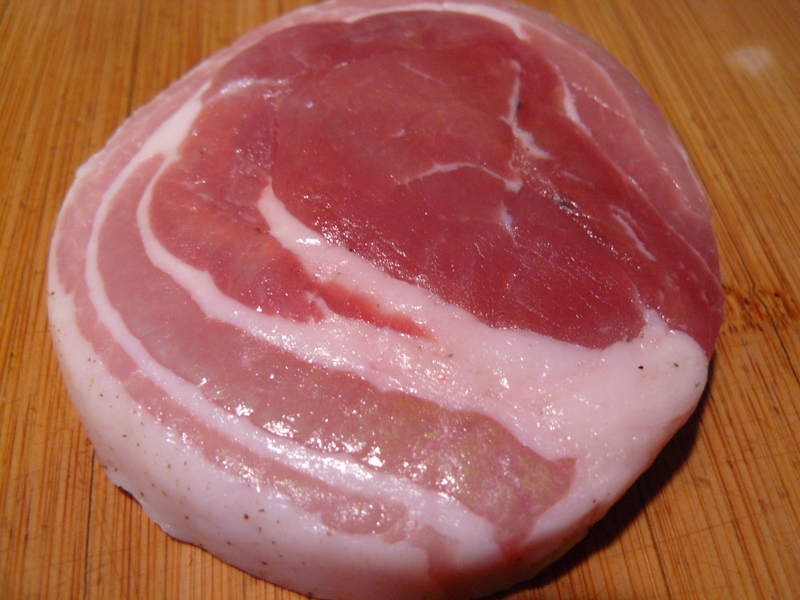 Next, add the pancetta and cook 10 minutes, until vegetables are softened and pancetta is golden. Now it’s time to add the ground meat mix. Season with 2 teaspoons Kosher salt and add to the pot in thirds. Turn up the heat to medium high and brown the meat, cooking another 15 to 20 minutes (helpful to set a timer). Stir and stir and stir and stir so it browns, but doesn’t burn. 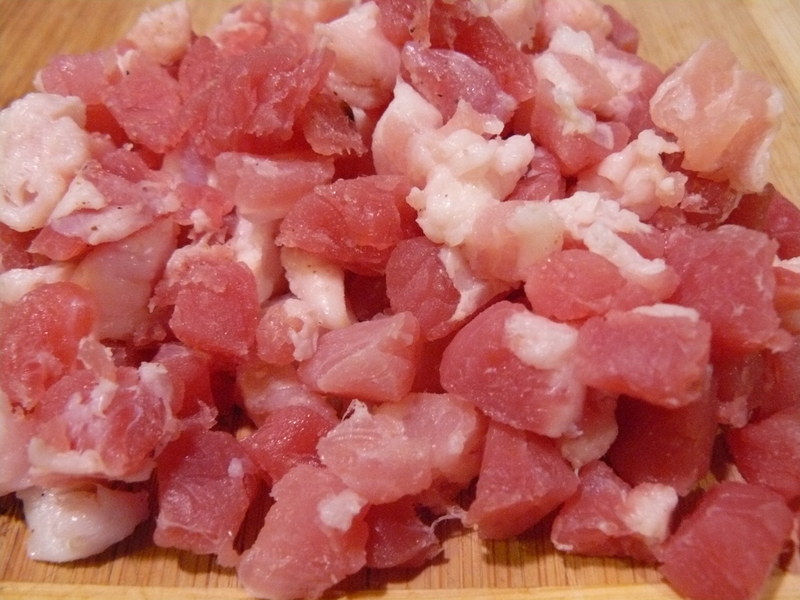 Marie says you want your meat to caramelize and even become crispy in spots. Lower heat to medium toward the end of your 15-minute sautéing time (check after about 8-9 minutes). Anne Burrell says not to rush, so I took about 5 extra minutes for a total of 20 minutes as Anne suggested! 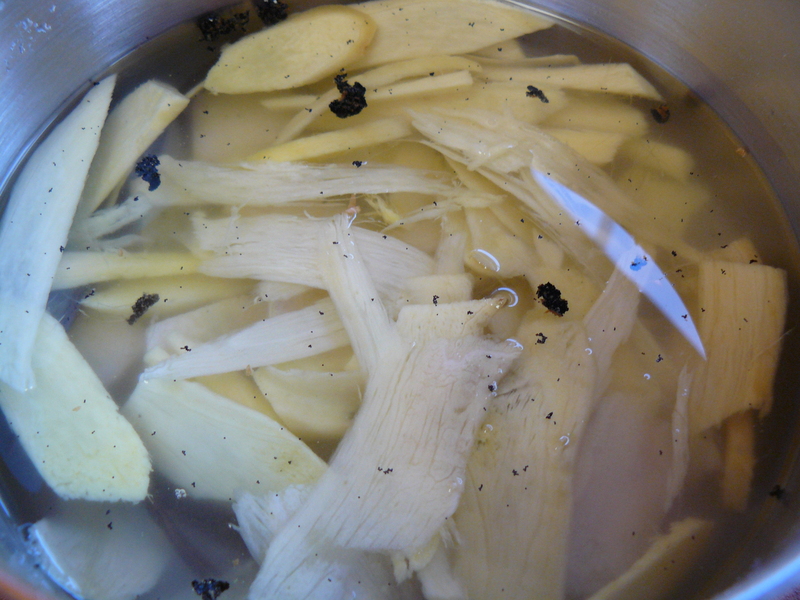 Add white wine and use it to help you scrape the brown pieces at the bottom of the pot. Stir and stir and stir. By the time you’ve gotten everything incorporated (about 2-3 minutes), the wine will have evaporated. Be careful not to let the meat stick again; lower the heat if necessary. Add milk, cream, diced tomatoes (with liquid), beef stock, 1 teaspoon Kosher salt and some freshly ground pepper. 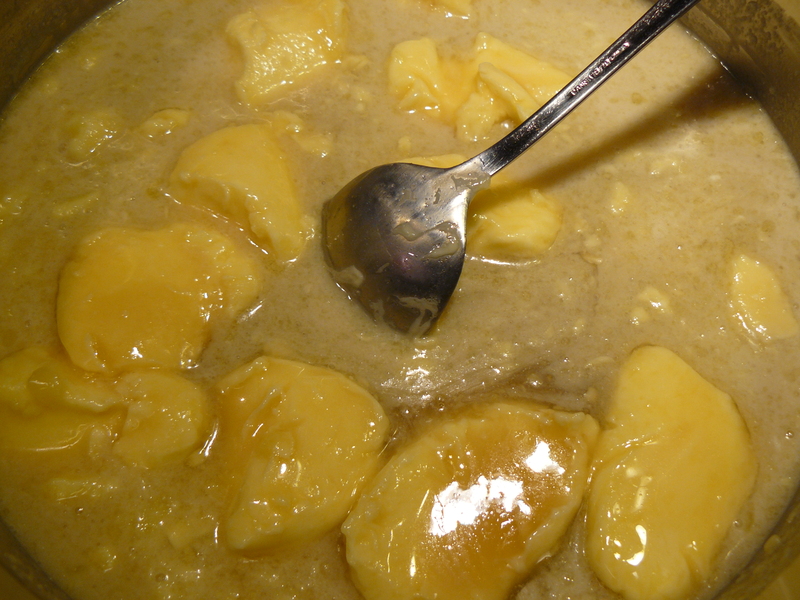 Bring to a boil, then lower heat so it can simmer, half-covered, for about 4 hours. Here’s where my new friend the pot moose was very helpful. 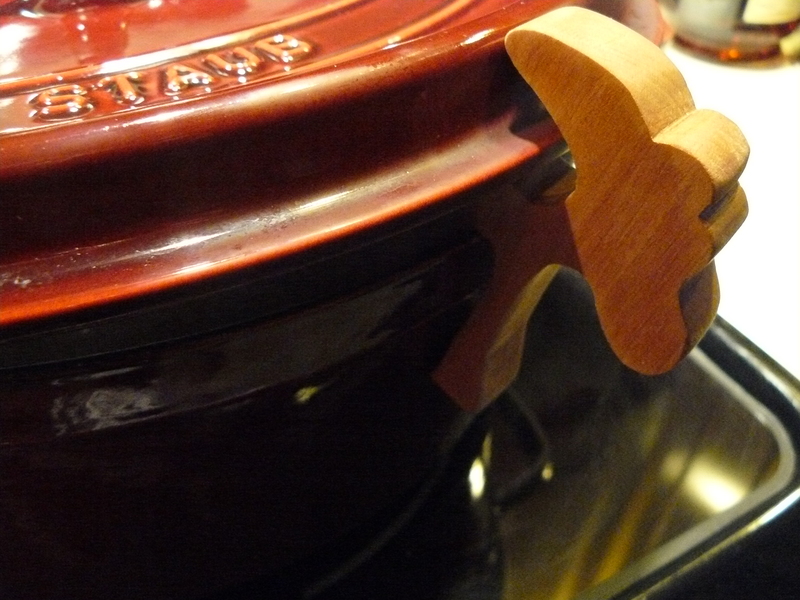 Mr. Moose perches on the edge of the pot to vent the lid. 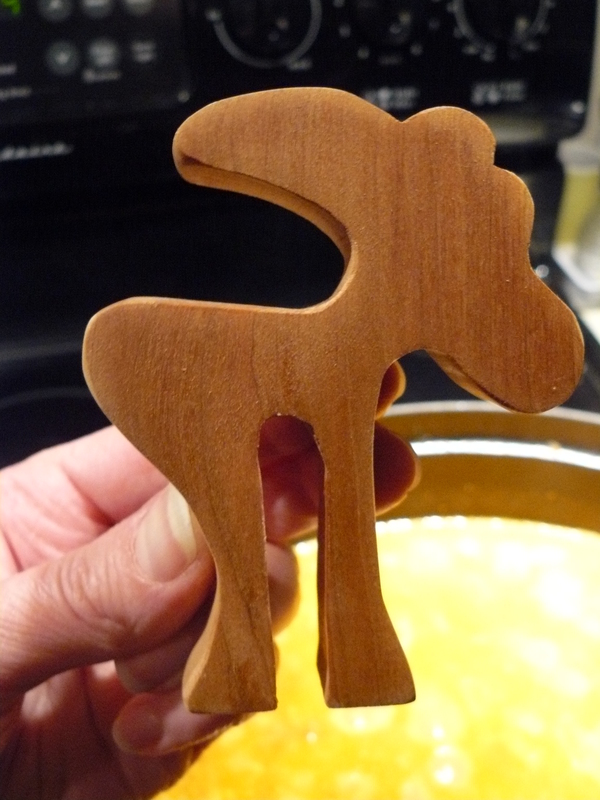 Everyone should have a pot moose! Mine was handmade just for me. I ♥ him. 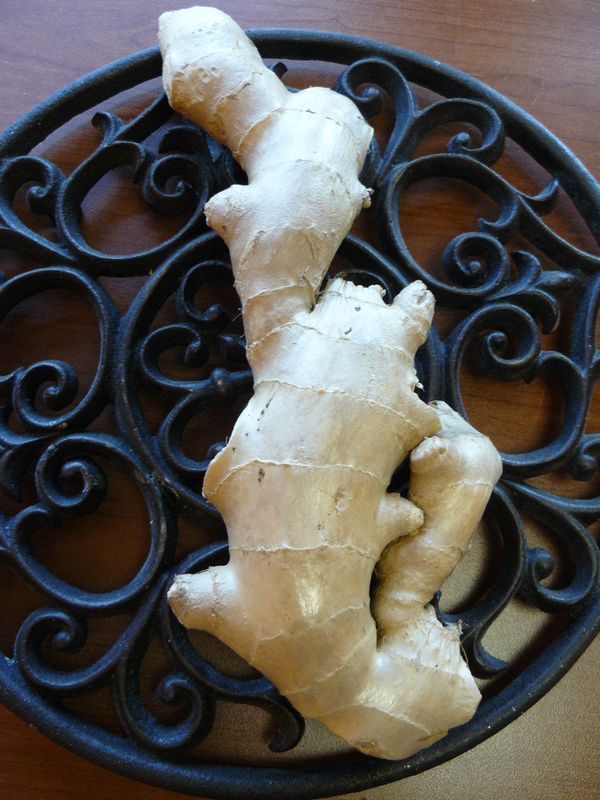 Give the pot an occasional stir. I cooked this batch in just under 4 hours total. Toward the end of your cooking time, boil the pasta, reserve some of the water when you drain, and toss pasta with a few pats of butter and some of the pasta water, then the Bolognese. I snipped fresh basil over the top and added Pecorino Romano as well. Everywhere I turn, seems there’s salted caramel something going on–salted caramel apple pie, fleur de sel caramels and so on. The right combination of salty and sweet is so appealing. I wanted to see what it was all about, but never made caramels before, nevermind salted ones. Could making them at home really be as simple as it looks? Well, not completely! But it was a great learning experience, culminating in the tastiest turtles I ever tried, so all was not lost. I adapted a tried and true recipe from the online community. Aunt Emily, whoever you are, I thank you for teaching me to make these tasty treats–even tho’ I don’t think I got it quite right the first time. I used the best butter I know, some Australian flake salt for good measure and bourbon–BOOYAH! 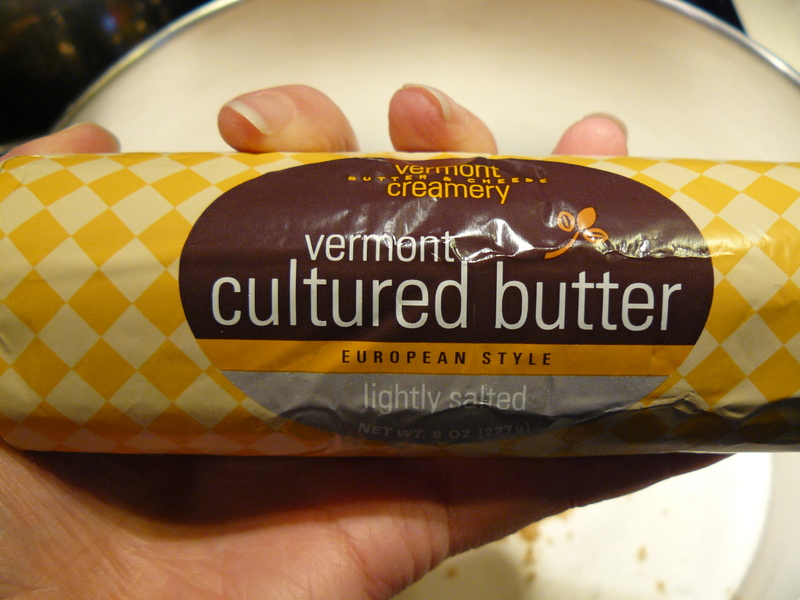 Have you tried Vermont Creamery cultured butter? I’m not sure I ever had a better butter. Locally, you can find it in Stop & Shop in the cheese section near the deli counter. First things first: butter a 13 x 9″ baking dish and set aside. Set the pan on medium heat and set a timer for 15 minutes. Stir occasionally till the butter melts and the mixture begins to boil. We hit the boiling point here in Katty’s Kitchen around the 14-minute mark. Remove from heat. 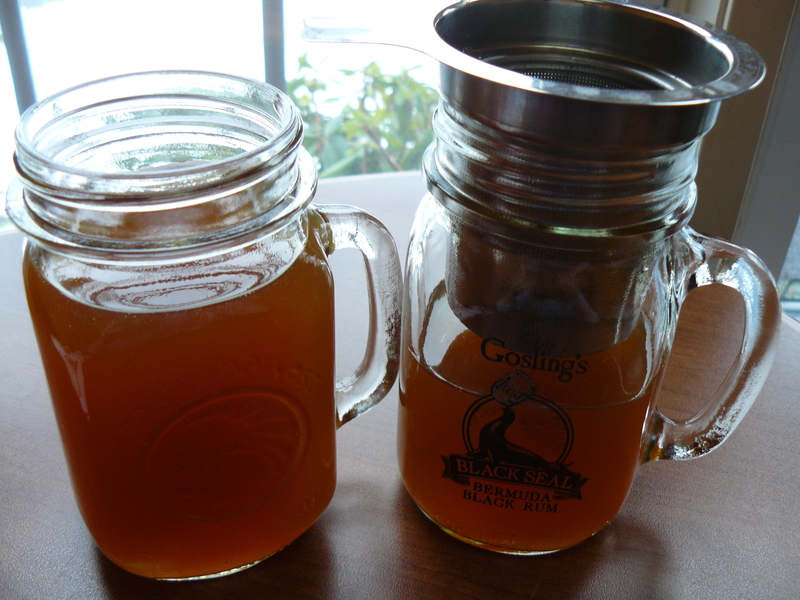 Add 1 teaspoon vanilla, 1 teaspoon Maker’s Mark, 1/2 teaspoon Australian flake salt. Pour into buttered pan. Sprinkle with additional 1/4 teaspoon flake salt, crumbled between your fingers. Let cool, then cut and store in the fridge. My mom loved the caramels in their original state. I thought they’d be softer, however delicious. After they were in your mouth a bit, they’d soften, but not before your jaw would make that annoying popping noise. How was I gonna make these into turtles? That’s really why I wanted to make my own caramel in the first place. Hmm. 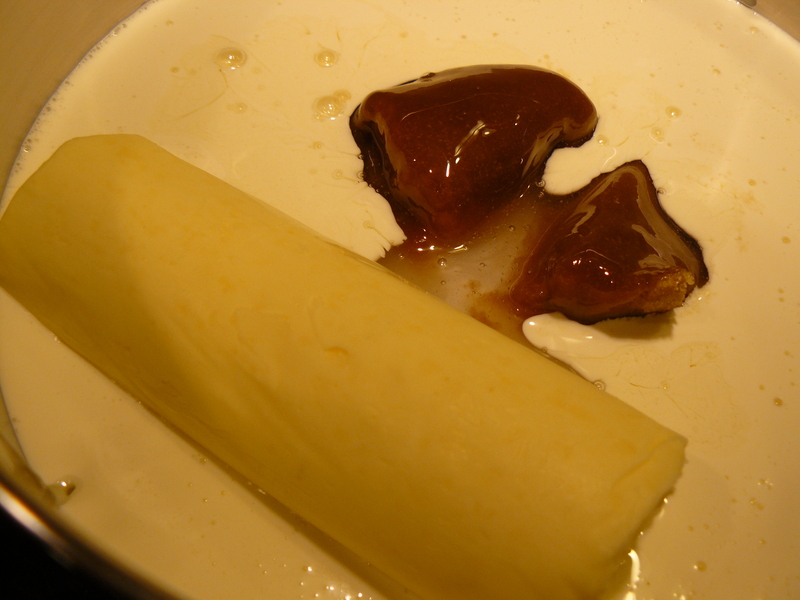 Undaunted, I melted down the caramels with more cream in hopes of creating a caramel sauce. This was just the ticket to getting the consistency I needed to give me turtle power. A l’il more Maker’s might have made its way into the mix, too–how else are we gonna make ninja turtles?! Once the caramel sauce is cooled, it’s just right for scooping and making turtles. Don’t forget to store the sauce in the fridge! I melted a tablespoon or so of butter and tumbled pecans to coat them, then roasted them over medium/medium-high heat on the stovetop. On a sheet of parchment paper, I formed clusters of four to give the turtles legs. 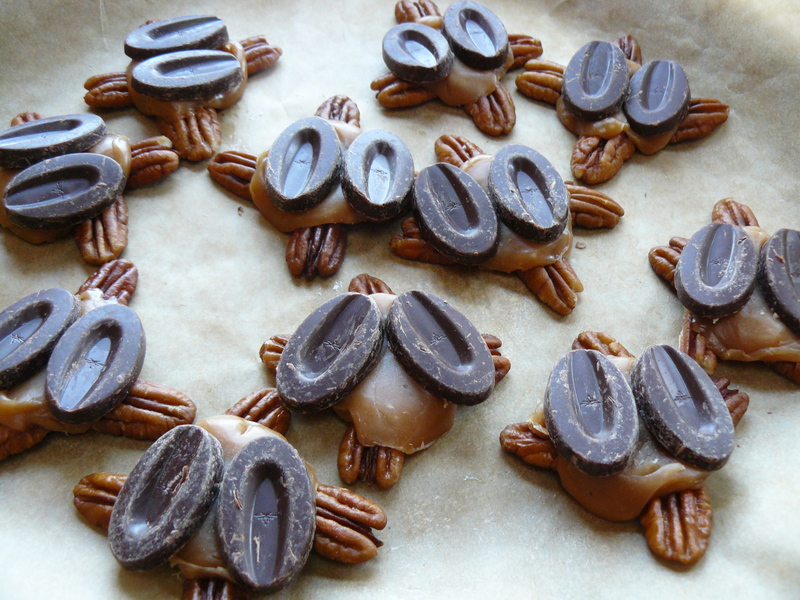 In fact, for those who don’t like pecans, you can give the turtles alternate legs. 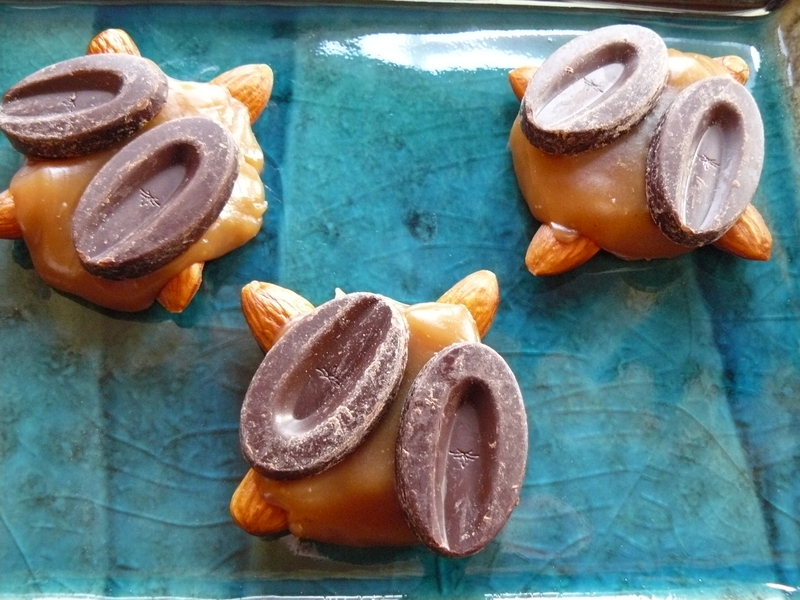 I made “Italian” turtles with almond legs, too. Once the caramel sauce cooled, I used my small cookie scoop, half-filled, to grab a gob of caramel to press onto the nut clusters, then topped each one with two Valrhona dark chocolate feves. Can you say turtle-icious?! You might think they’re just too cute to eat. You’ll get over it once you have a bite, though. You really CAN do anything you set your mind to doing, even if it (literally) does not take shape the first time. Keep trying! 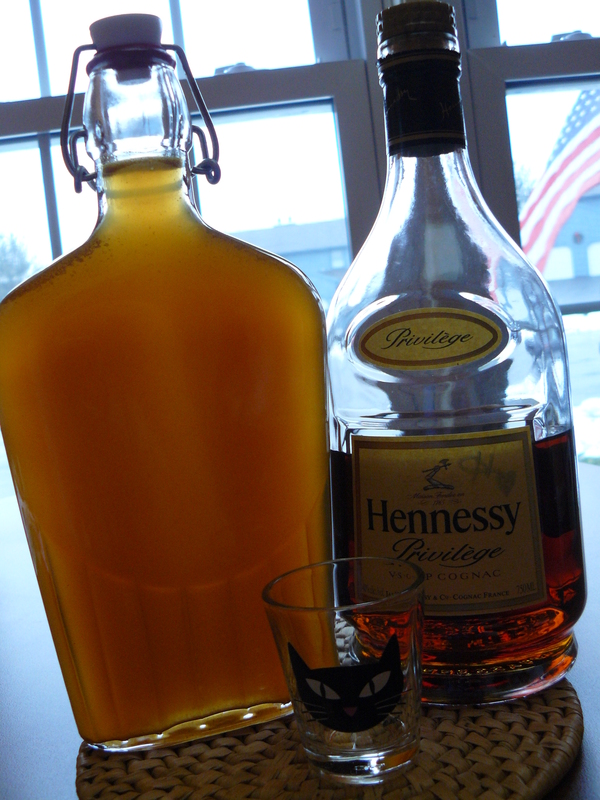 Here’s to a delicious 2012!